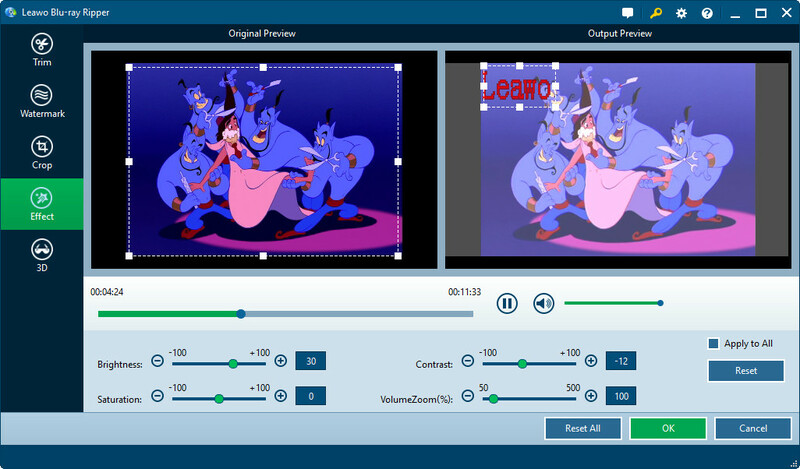 Dear reader, I am glad that you ask me the question because I happen to know of a professional Blu-ray editor, or we can say a piece of professional Blu-ray editing software or Blu-ray video editing software. 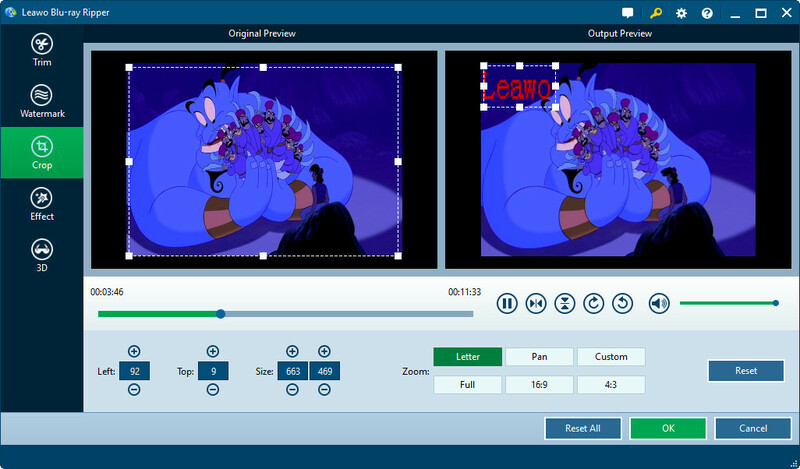 In addition to ripping Blu-ray discs/folders to various popular video and audio formats, Leawo Blu-ray Ripper is designed with an internal Blu-ray editor, offering four ways for you to edit Blu-ray videos (trimming, cropping, adding effects and adding watermarks). You can choose one or several editing features you want. How to enable the internal Blu-ray editor of Leawo Blu-ray Ripper? On the main interface of Leawo Blu-ray ripper, click “Add Blu-ray/DVD” button to load Blu-ray disc file into the program. After loading, you can see a list of Blu-ray chapters/titles on the UI. By clicking “Edit” button in the end of a loaded Blu-ray movie title, or right clicking loaded Blu-ray/DVD title and then selecting “Edit” option on the right-click menu, you will be guided into the internal Blu-ray editor. Under “Trim” tab of the Blu-ray video editing panel, you can trim video length by dragging and then positioning the limiters on the playbar, clicking “Set as start time” and “Set as end time” buttons, or manually inputting millisecond time indexes below. Under Watermark tab, by switching “Watermark” option to green, you can add image or text watermark. At the same time, you can also customize watermark parameters. 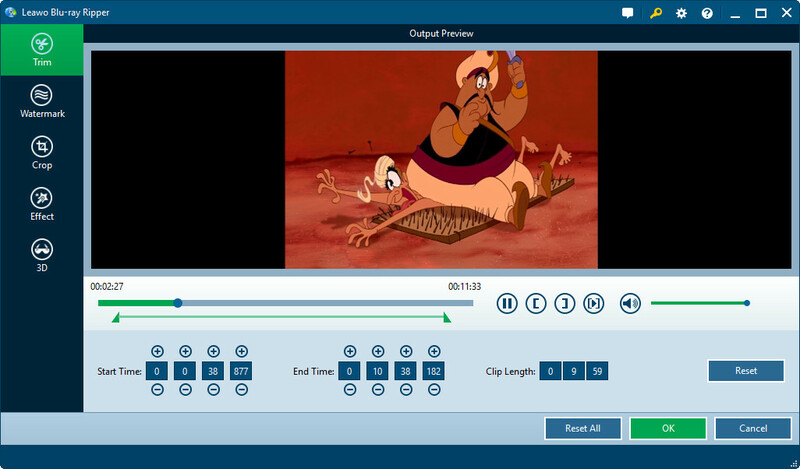 In Crop tab, set the “Left” and “Top” parameters and select a Zoom type, or adjust the dot frame on the left Original Preview window to remove the back margins and unwanted parts on the video frame. In Effect tab, change video Brightness, Contrast, Saturation and Volume Zoom, and get instant preview. Hope this article will be useful for you. 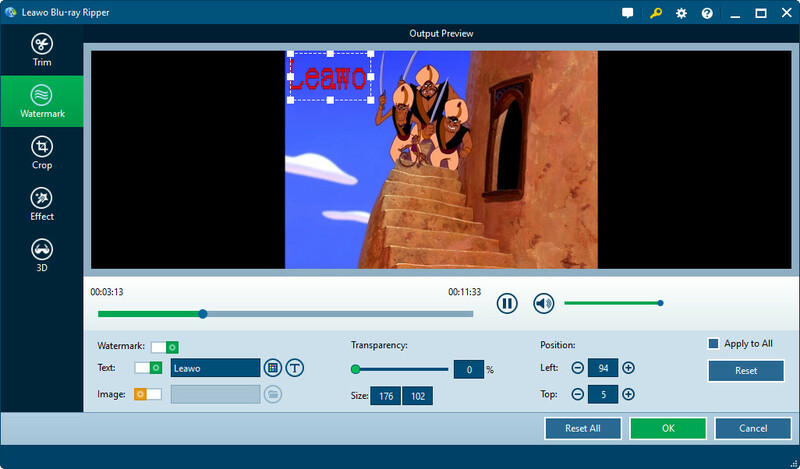 If you would like to know how to convert 2D Blu-ray video to 3D video, this article “How to Create A 3D Movie Out Of A 2D Video” will give you advice.